SECU Foundation’s Board of Directors are inspired by the Credit Union philosophy of “People Helping People”. Board members serve on a volunteer basis and are not paid for their commitment. 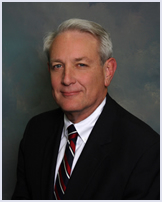 An SECU member since 1980 and a member of the Board of Directors of SECU since 2007, Bob Brinson currently serves as Vice Chair. He is also the Chair and Secretary/Treasurer of the SECU Foundation Board and previously served on the Audit Committee of SECU. Mr. Brinson recently retired as Chief Information Officer of the North Carolina Department of Public Safety. Mr. Brinson has a Bachelor of Science degree in Industrial Engineering from NC State University, an MBA from the University of North Carolina at Chapel Hill, is a licensed Certified Public Accountant and holds the Certified Information Systems Security Professional (CISSP) designation. 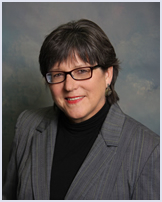 Jo Anne Sanford was elected to the State Employees’ Credit Union Board of Directors in 2005 and currently holds the position of Chair. Ms. Sanford was Chair of the North Carolina Utilities Commission for ten of her twelve years at the Commission, and prior to that served for 20 years with the Attorney General’s Office. A graduate of NC State University and the School of Law at UNC-CH, she has extensive experience in regulated utility industries— communications, energy, and water—as well as with issues at the intersection of environmental and energy law. 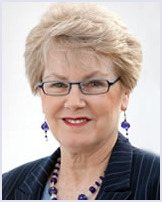 She practices law in Sanford Law Office, PLLC in Raleigh and is a board certified specialist in Utilities law. Formerly a Director of Piedmont Natural Gas, she is currently the Chair of the Duke Energy Community Advisory Board and is on the Board of Advisors for UNC Law School’s Center for Climate, Energy, Environment and Economics (CE3). A longtime resident of Raleigh’s oldest historic district, Ms. Sanford is married to Billy Brewer, Jr. and they have one daughter. Chris Ayers has served on the State Employees’ Credit Union’s Board of Directors since 2016 and currently holds the position of Secretary/Treasurer. He is a native of Rutherfordton, North Carolina and currently resides in Apex, NC with his wife Rebecca. Mr. Ayers graduated from Duke University (B.A.) in 1999 and the University of North Carolina at Chapel Hill School of Law (J.D.) in 2002. From August 2003 to June 2009, he practiced law in Raleigh, NC with the law firm of Hunton & Williams LLP and with Poyner Spruill LLP from June 2009 to June 2013 with a focus on regulatory and utilities law. Since 2013, Mr. Ayers has served as Executive Director of the North Carolina Utilities Commission Public Staff, which represents utility customer interests in cases before the Utilities Commission. Mr. Ayers has also served on the Executive Committee of the National Association of State Utility Consumer Advocates, the Board of Directors of Global Hope India and the North Carolina 4-H Development Fund. He is an active member of his church and enjoys golf, kayaking, board games and traveling with his wife. Ms. Bell, a graduate of NC A&T State University, retired from the Department of Health and Human Services with more than 40 years of service to the State. She became a Board Member of State Employees’ Credit Union in 1999 and is a former Chairman of both the SECU Board of Directors and SECU Foundation Board of Directors. She also served two terms on the Advisory Board of SECU’s Salisbury Street branch. In addition to her membership on SECU’s Boards, Ms. Bell boasts a lengthy volunteering resume spanning 36 years. She is a past president of the State Employees Association of North Carolina where she remains very involved, and formerly served on the Teachers and State Employees’ Retirement System Board of Trustees. (Because she was representing active employees, she had to step down upon retirement.) She also served many years on the Committee of Excellence for State Employees and is extremely involved in her church. She recently completed her fourth year as President of the Johnston County Alumnae Chapter, Delta Sigma Theta Sorority, Inc., a service sorority. She was recently elected to the Board of Directors for Harbor, Inc. - a Johnston County shelter for women and children who are victims of domestic violence. In her spare time, her hobbies include reading, needlecrafts and baking. 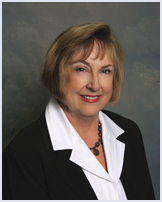 Ms. Bunn has served on the State Employees’ Credit Union’s Board of Directors since 1994 and is a former Chairman of the Board. Ms. Bunn spent the bulk of her government career with the North Carolina State Budget Office in planning, research and public policy positions. She has also directed long range planning efforts for Wake County Public Schools. Ms. Bunn currently owns and directs a market research company, First In Focus Research, which specializes in qualitative and quantitative research studies. She holds undergraduate and graduate degrees from North Carolina State University in math, statistics and business management. She has two children and two grandchildren. Mr. Delia joined the SECU Foundation Board of Directors in 2016. He is the former Secretary of the NC Department of Health and Human Services, Senior Advisor to Governor Bev Perdue, CEO of North Carolina’s Eastern Region and held various positions with East Carolina University. He recently retired as Director of Health Access for the Brody School of Medicine at ECU. Mr. Delia lives in Maryland, is married to Cecelia Karas and has two adult sons. Having previously served on the State Employees’ Credit Union Nominating Committee, Mark Fleming joined the SECU Foundation Board of Directors in 2018. He is the Vice President of Government Affairs for BlueCross BlueShield of North Carolina. Prior to BCBSNC, he held the position of Vice President of Government Relations for the 16-campus University of North Carolina System and served for five years as the University’s primary representative for the U.S. Congress, Federal Government, the North Carolina General Assembly, Governor and state agencies. Mr. Fleming worked closely with the Board of Governors, the University President and other senior staff members to develop University policies and programs, and led the University System’s efforts to build relationships and coalitions across all sectors of education, business, and government. Before joining the University System, Mr. Fleming held positions at N.C. State University, working for the University Chancellor and for the Dean of the College of Agriculture and Life Sciences. As an Executive Officer of the University, his responsibilities included all legislative efforts and management of the NCSU Board of Visitors. Mr. Fleming graduated from N.C. State University and received his MBA from Bellarmine University in Louisville, Kentucky. He and his wife Julie have two sons. Alice Garland helped start the N.C. Education Lottery and served as its top executive from August 2010 – March 2018. She held many positions with the North American Association of State and Provincial Lotteries, the professional association representing the lottery industry in the United States and Canada, and chaired the association’s Responsible Gaming Committee. Garland also served as Vice President of the Multi-State Lottery Association, a nonprofit organization which operates the two major jackpot games, Powerball and Mega Millions, on behalf of its member lotteries, and served on its Development Committee. Garland is a member of the Lottery Hall of Fame and received the Lottery Statesperson award. She also received the inaugural Arch Gleason Industry Award for Responsible Gambling Leadership and the National Council on Responsible Gaming Annual Advocacy Award, the only lottery employee to receive this award. For more than 34 years, Garland served in state and local government executive posts handling governmental affairs and communications. She received a bachelor’s degree from the College of William and Mary with a major in urban studies and a master’s degree in city and regional planning from the University of North Carolina at Chapel Hill. Garland has been a member of the Raleigh Kiwanis Club for 26 years, was the first female president and is a past president. She serves on the Wake County SPCA Advisory Board. She has also served on the board of directors of the Public School Forum, the N.C. Environmental Management Commission, the N.C. Center for Public Policy Research, and the N.C. Professional Lobbyists Association. As a former member of the State Employees’ Credit Union Audit Committee and branch Advisory Board, Jennifer Haygood joined the SECU Foundation Board of Directors in 2018 and was appointed to the SECU Board of Directors in 2019. She is the Chief of Staff of the North Carolina Community College System, working with the System President and overseeing the internal operations of the System Office. Other positions Ms. Haygood has held at the Community College System include Acting President, Executive Vice President, Chief Financial Officer and Vice President of Business and Finance. With an early focus on education, she began her career as an elementary classroom teacher in Louisiana before transitioning to the NC Department of Juvenile Justice and Delinquency Prevention as a Governor’s Public Management Fellow in the Education Section. Ms. Haygood subsequently worked in the Fiscal Research Division of the North Carolina General Assembly, serving as an Education Team Leader and Senior Fiscal Analyst prior to her service with the Community College System. Mr. Johnson became a member of State Employees’ Credit Union’s Board of Directors in 2001, serving as Chairman from 2013-2015. He lives in downtown Raleigh, and is the former director of the NC General Assembly’s Fiscal Research Division. Mr. Johnson is a partner in the government relations firm Blount Street Advisors, and serves on various community boards. He also teaches on a part-time basis at the Duke Sanford School of Public Policy. Ms. Moon joined the State Employees’ Credit Union Board of Directors in 2016. She is the Chief Operating Officer of North Carolina’s Medicaid program in the NC Department of Health and Human Services. Prior to her current position, Ms. Moon was the Executive Administrator of the State Health Plan for Teachers and State Employees, a division of the NC Department of State Treasurer, and served as the State Health Plan’s Chief Financial Officer. Before joining the State Health Plan, Ms. Moon served as Chief Business Operations Officer for the Division of Medical Assistance, NC Department of Health and Human Services. 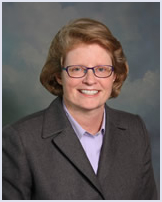 She also was a Principal Fiscal Analyst with the Fiscal Research Division of the NC General Assembly. Ms. Moon received a Bachelor of Science degree in Business Administration and a Master of Science degree in Public Health from the University of North Carolina at Chapel Hill. Dr. Williams joined the SECU Foundation Board of Directors in 2016 and the SECU Board of Directors in 2017. She currently serves as Vice President for Durham Affairs at Duke University. Dr. Williams previously served as President of Vance-Granville Community College, a four-campus institution in Northeastern North Carolina, and has served in various faculty and administrative roles within the North Carolina Community College System. 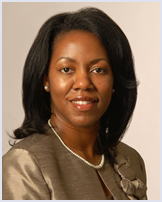 Dr. Williams is a graduate of Duke University and completed her doctoral studies at NC State University, where she also serves as adjunct faculty in the College of Education. Williams presents nationally, consults on leadership and workforce development, and actively participates on numerous public and private boards. A native of Kinston, Mr. Wooten holds degrees from Morehouse College and Vanderbilt University School of Law. He is a Deputy Director for the Administrative Office of the Courts in Raleigh. Mr. Wooten joined SECU in 1994 and became a member of the Board of Directors in 2000, serving as Chairman from 2011-2013. Mr. Wooten's other volunteer service includes serving as a community advisor for the Junior League of Raleigh, a member of the NC Museum of History Foundation Board and as a Big Brother with Big Brothers Big Sisters of the Triangle. He is an active member of his church and enjoys playing the piano, traveling and spending time with his family. He is married to Laura H. Wooten, and they are the proud parents of a son and daughter.